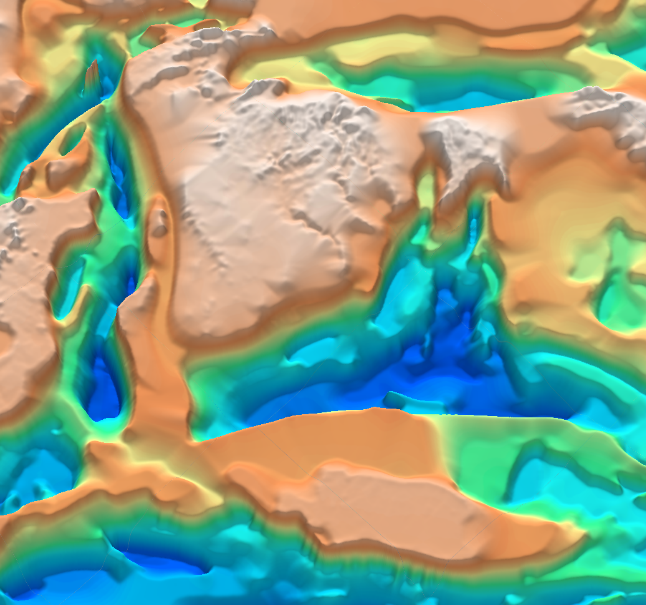 Frogtech’s regional studies provide an integrated geophysical and geological study of basement evolution and basin formation. Basement geometry, structure and composition influence the shape and location of a basin, the sediment distribution, the available accommodation space and depositional histories, all of which underpin petroleum systems analysis. 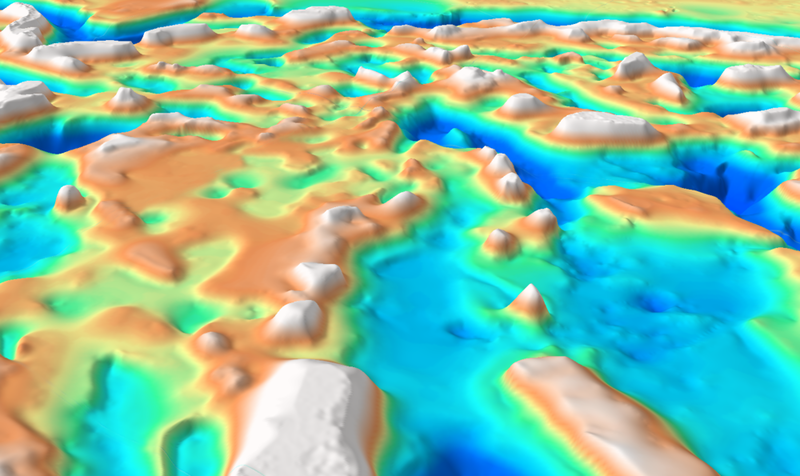 Frogtech Geoscience’s signature SEEBASE depth-to-basement product and other deliverables make our regional studies a cost-effective regional evaluation and exploration tool. 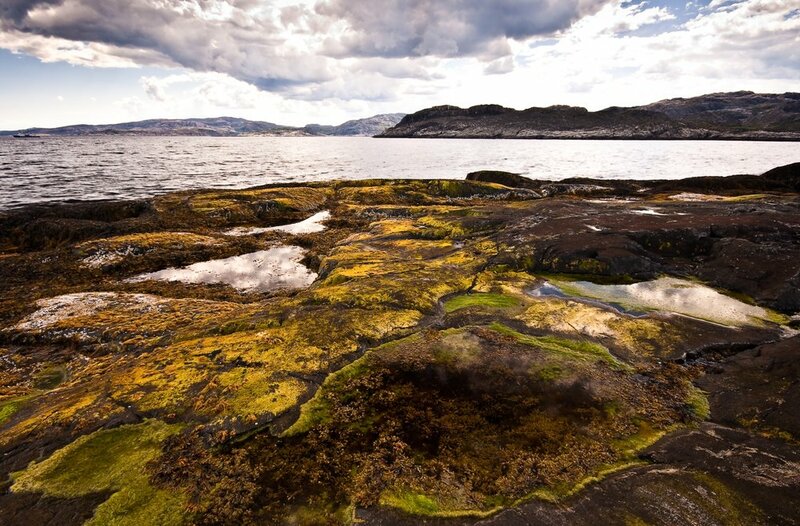 SEEBASE provides a basis to reduce exploration risk, as well as to highlight new prospective areas and develop play concepts. These studies provides the strategic basis to focus future exploration activities and data acquisition programs. Basement Geology: Analysis and description of basement terranes, assessment of terrane boundaries (including limit of oceanic and transitional crust), and interpretation of basement composition. Petroleum Prospectivity: summary of basement and structural controls on petroleum prospectivity based on the study results. 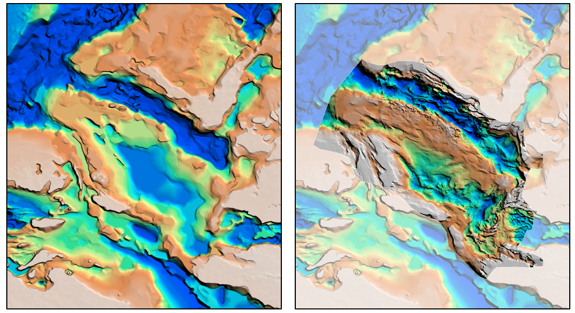 Maps of Sediment, Crustal and Basement Thickness, and Beta Factor: Derivative maps created using the SEEBASE® and Moho models. Inferred Basement Heat Flow: Computation of radiogenic heat production and heat flow, integrating basement geology and architecture, as well as timing and intensity of regional tectonothermal events. Available separately as part of our Terraflux product line. For more information on specific studies, please select from the range of studies below. A key benefit of all SEEBASE products is their ability to be customised with the input of customer constraining datasets for targeted calibration. SEEBASE Depth to Basement is available globally through our Global SEEBASE D2B project.